It's no secret here that Union Pacific had swallowed up the Chicago & North Western the previous year, with C&NW widecab no. 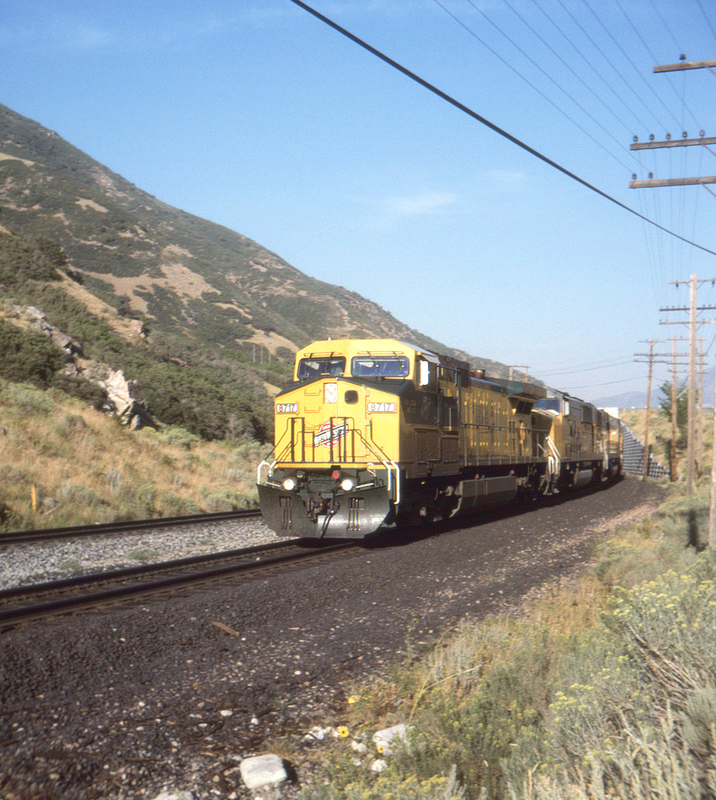 8717 leading this consist towards Devil's Gate in Weber Canyon, Utah. Unfortunately that was one merger that didn't go well, although the tie-ups that resulted paled before the chaos unleashed by the UP's 1997 acquisition of Southern Pacific.